Issy Parry in Editor's Picks Fashion & Beauty on 14 March, 2018. I’ve entered into last-week-of-term liquidation; going home for the holidays is no longer a matter of relaxation but an absolute requirement if I’m to continue eating. The thought of buying an item of clothing that didn’t begin its journey to me in a reduced section of the Missguided warehouse is laughable. 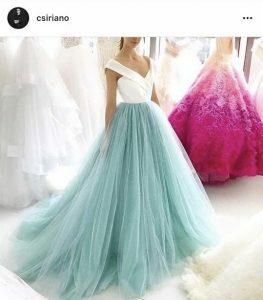 Yet, a poor student can dream, and my fashion fantasies currently occur in the exquisite world of Christian Siriano. After winning the fourth season of Project Runway, the designer launched his namesake in 2008 and has since accomplished a whole host of stylish successes. 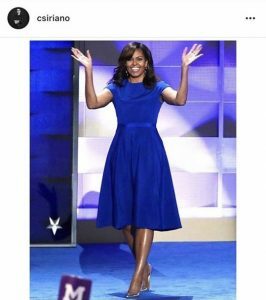 To name but a few, Siriano was accepted as a member of the Council of Fashion Designers of America in 2013, designed Michelle Obama’s royal blue dress for her speech at the Democratic National Convention, and dressed an outstanding 17 women for the 90th Academy Awards earlier this March. 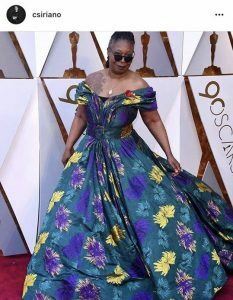 I was particularly struck by Whoopi Goldberg’s spectacular floor-length floral dress in teal, purple and yellow; what could have come across as dated and dreary looked vibrant, refreshing and incredibly fun. Laurie Metcalf also looked stunning in her sequin sleeved gown, while Alicia Silverstone stormed the Vanity Fair after-party in a simple but striking hot-pink number. Although Siriano has dressed the likes of Victoria Beckham, Rihanna and Taylor Swift, he is perhaps celebrated to greater extents for his ability to dress women of any shape or size. Leslie Jones, for instance, applauded the designer for reaching out after many labels had refused to dress her for red carpet events. This sense of acceptance and inclusion is all-too-rare in the fashion industry and should evoke vigorous admiration. 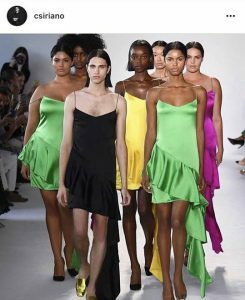 Siriano’s Spring / Summer collection catwalk is certainly a pleasure to watch from both a creative and feminist perspective, as models of all body types and races strut their stuff in a bold and beautiful celebration of fashion. Siriano said of his progressive line-up: ‘I want to celebrate beauty no matter where you come from or what size you are. We are all beautiful.’ In my opinion, we need more designers like Siriano if the global face of fashion is to change for the better. The most captivating aspect of Siriano’s designs is the sheer extravagance of his luxurious gowns; often rich with colour, and not unaccustomed to dramatic trails or seemingly endless ruffles, they are a sheer joy to behold. 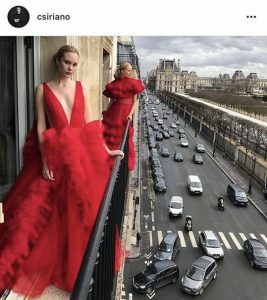 Scrolling through the designer’s Instagram (@csiriano) marks a refreshing break from the usually monotonous feed, and while I often feel a pang of hankering for what can never be mine (at least for the foreseeable future, fingers crossed), his creations really do redefine ‘eye-candy.’ Luckily, Siriano has collaborated with some mass-market brands, including Puma, Victoria’s Secret and Starbucks, so I’ll settle for trainers, pants and coffee while my gown (and money) is in the making. 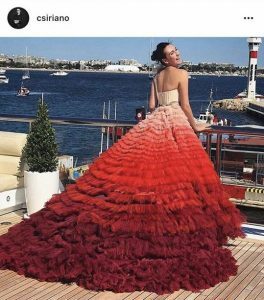 A true talent working towards change for the better, Christian Siriano really is a breath of fresh air for the fashion industry.